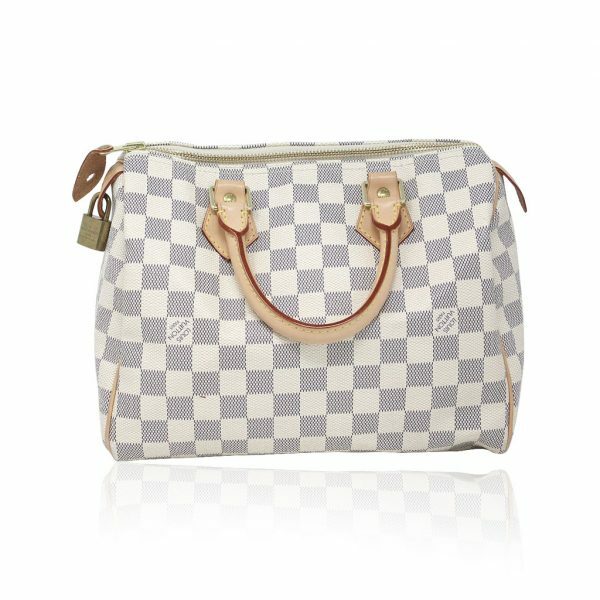 Condition You’re viewing this classic Louis Vuitton Damier Azur Speedy 25. 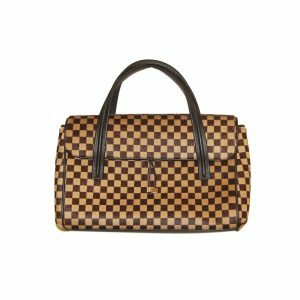 This beautiful little purse shows the iconic Damier Azur pattern with golden brass hardware accents and cowhide leather trim. The canvas is in good condition but does show visible signs of wear. 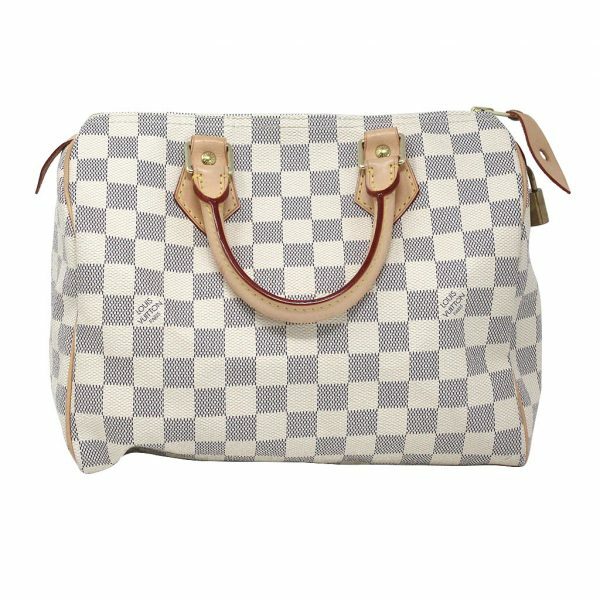 You will notice that the purse has a faint discoloration of the canvas. You will also see that there are a few minor stains on the exterior which can be seen in the pictures listed. 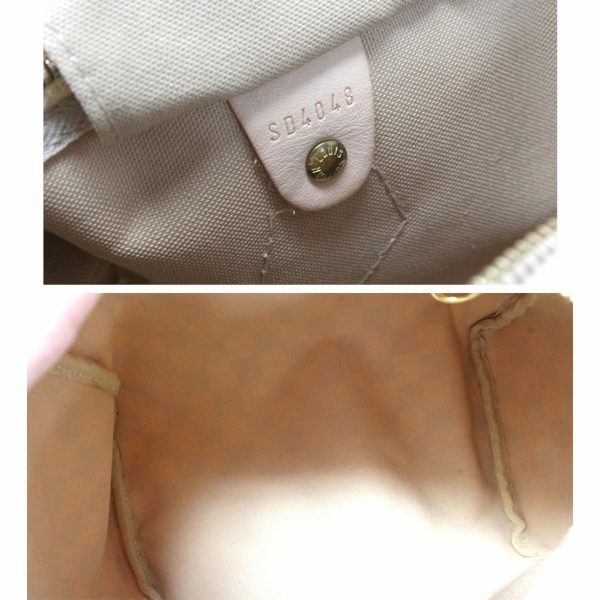 There is a visible dark stain on the back of the purse near the center on the canvas. There is also a pink stain below it to the left which can be seen in the pictures as well. 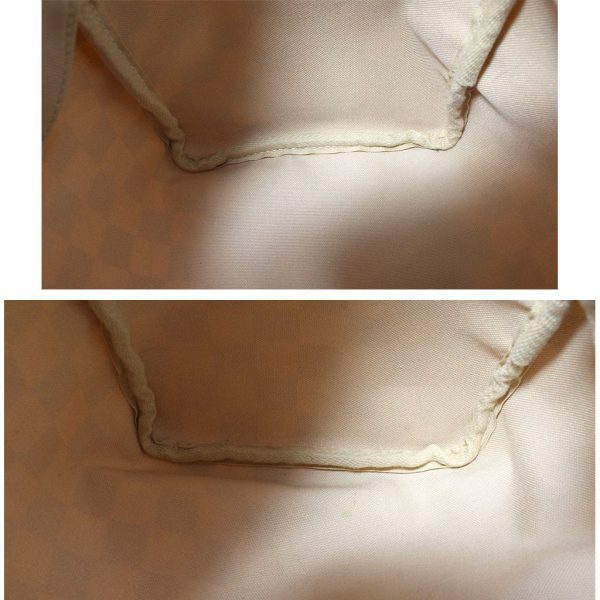 On the front of the purse you will see visible stains along the top of the purse near the zipper. On the bottom of the canvas you can see a white park on the pattern, near the bottom left corner. 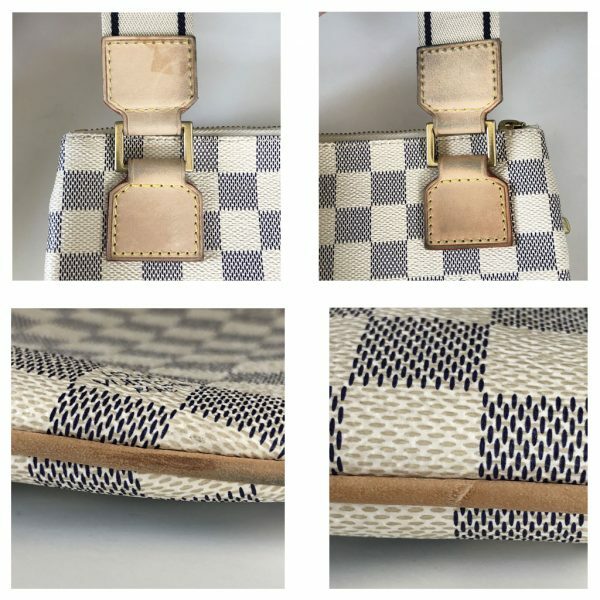 On the left side of the purse, a dark brown stain can be seen in the Damier Azur pattern as well. 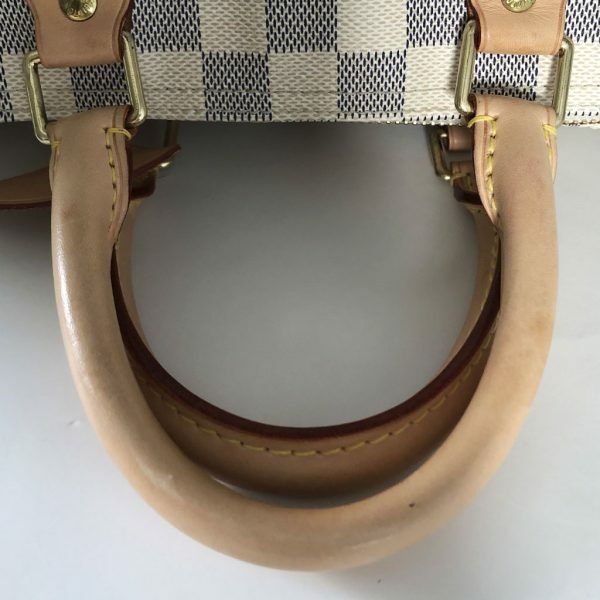 The cowhide leather trip around the purse is in good condition but you will see visible discoloration and scuff marks along the bottom corners. 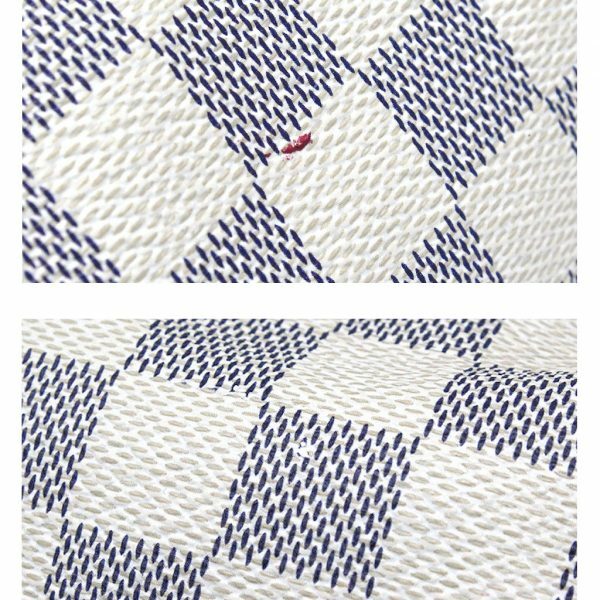 On the leather diamond plates where the handles meet the canvas, you will see faint scratches. 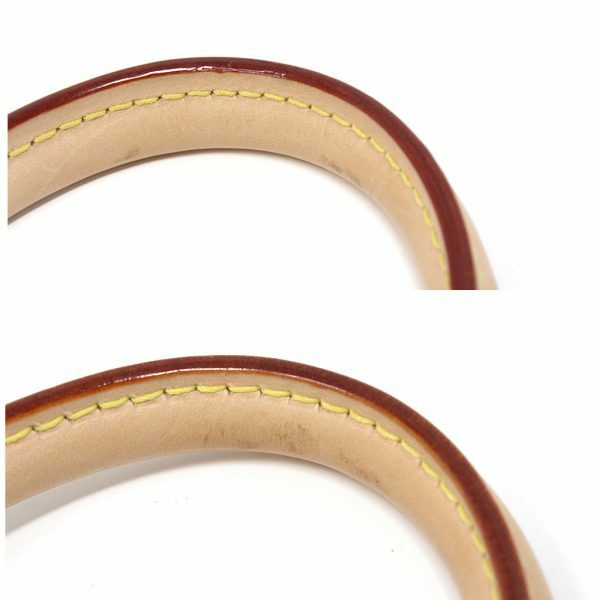 The handles themselves are in good condition showing minor staining from handling and faint scratches from use. 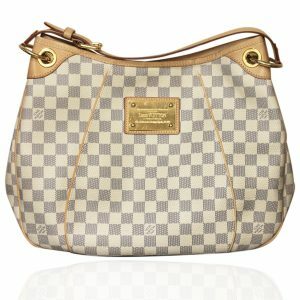 The top zipper works properly and does not show significant tarnish. 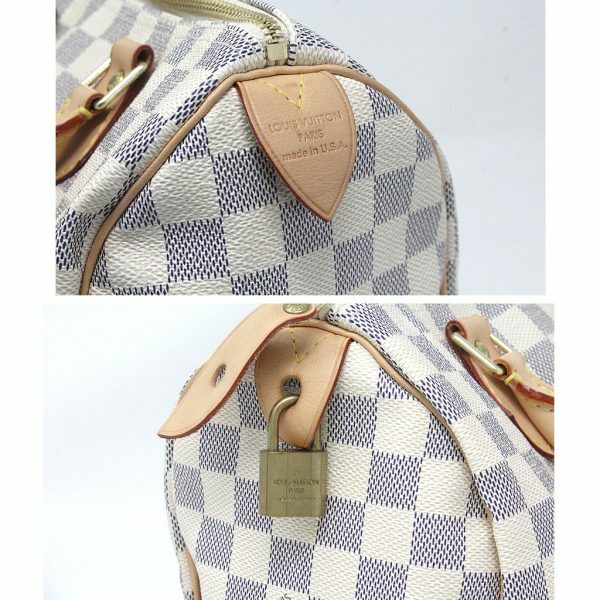 Attached to the side of the purse is your LV padlock which shows minor tarnish. 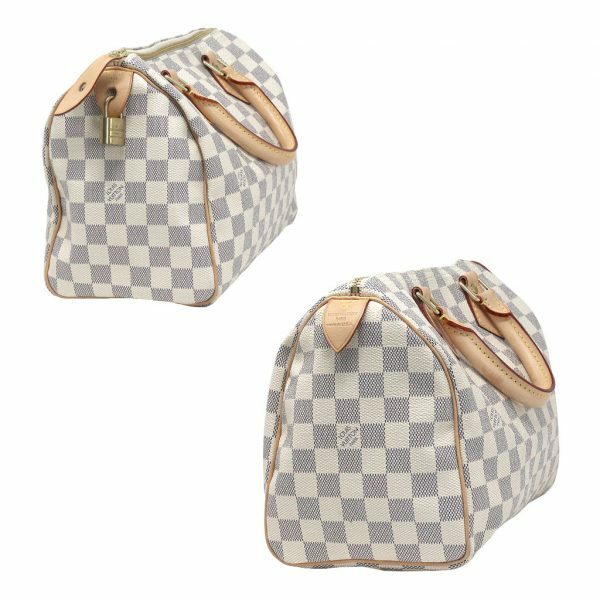 This purse does not come with a set of keys for the padlock. 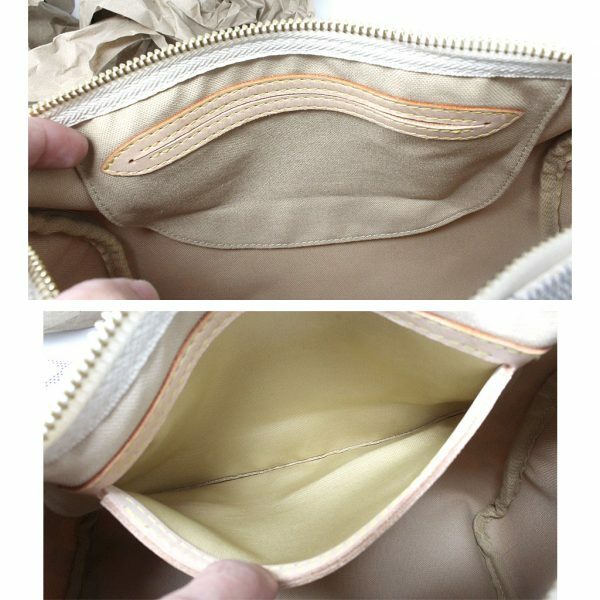 As you open the top zipper you will see the clean, bright beige textile canvas interior lining. 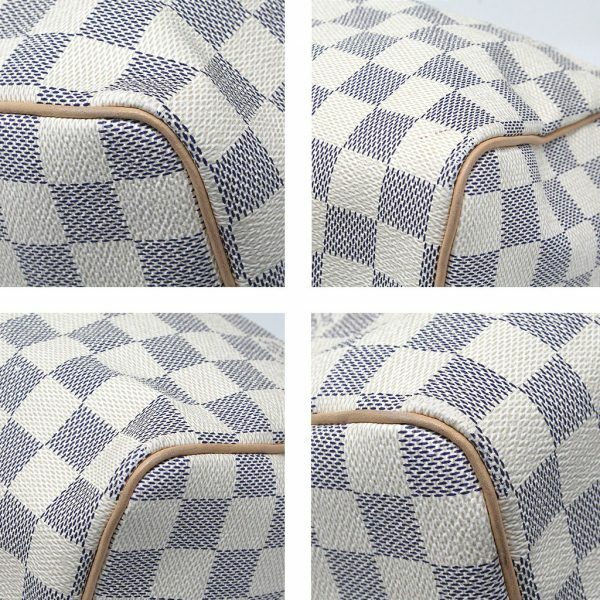 The interior contains one small pocket compartment. There are no rips or tears within the interior. 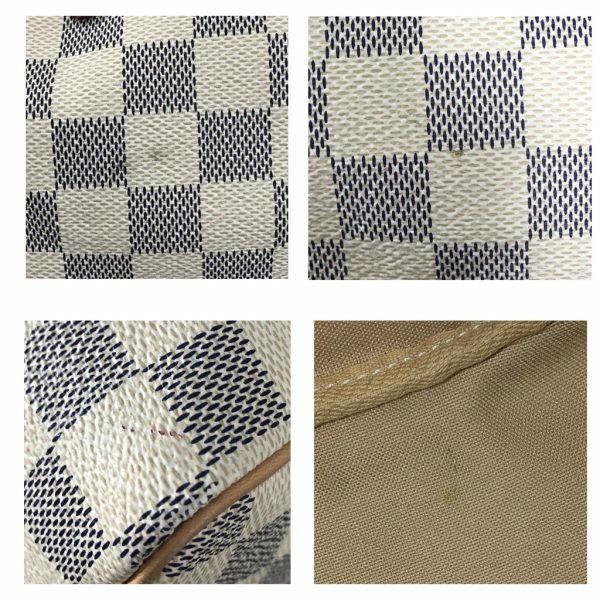 There is one faint stain on the bottom of the interior lining however no additional pen marks, make up stains or water spots can be seen. 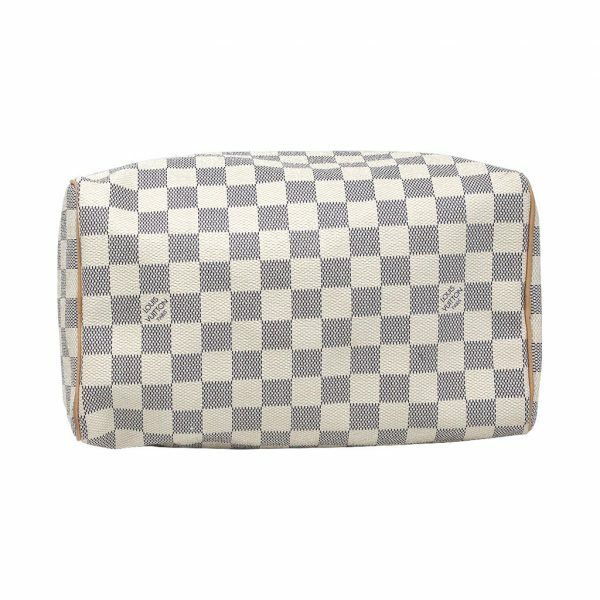 There are also NO foul odors in this purse. 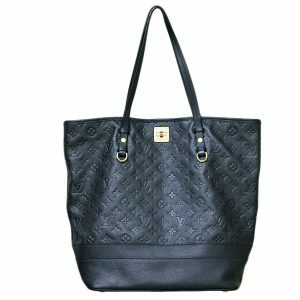 With a proper exterior cleaning, this purse can look as good as new! 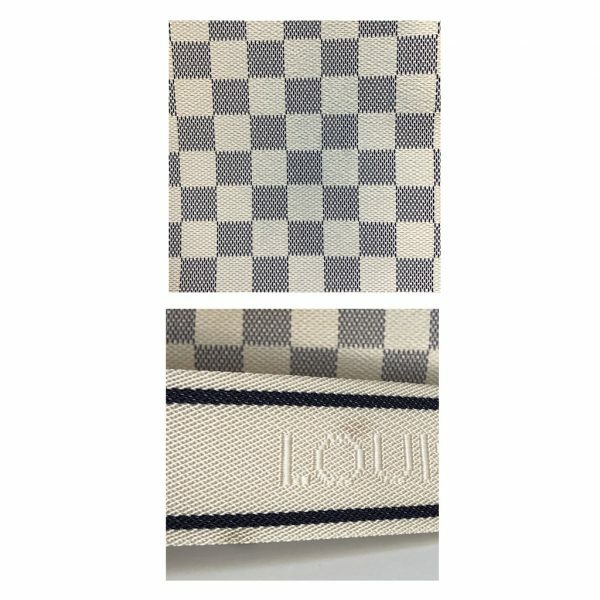 Don’t pay retail price for a LV Speedy 25! Buy this 100% authentic Speedy and add it to your collection now!